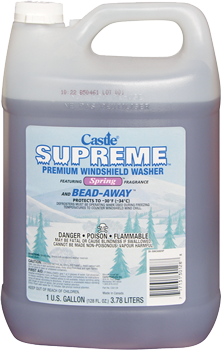 Castle® Supreme™ premium windshield washer solvent is formulated with spring fragrance and Bead-Away™ water repellant. It protects from freezing to -30° F.
1. 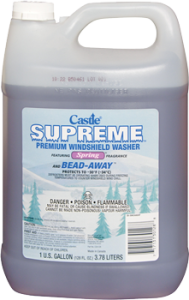 Pour undiluted into windshield washer fluid reservoir.